This topic contains 13 replies, has 2 voices, and was last updated by Danny 3 weeks, 2 days ago. How can I change the footer links fonts. I have tried from settings>body fonts but doesnt change. We’ll consider to add this feature as an option in next theme updates. I’m afraid it doesn’t work. Tried with different fonts, nothing changes. It’s always Georgia Italic. About this issue, please share us the admin account of your site via private reply so we can investigate your case and help you out. Also, please point to specific page where we can see the problem. 1. 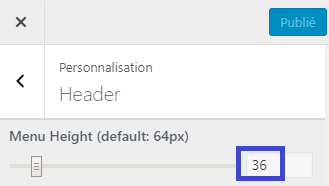 I’ve added some CSS code into your Dashboard > Personnaliser > CSS additionnel. Please check the footer link font again. Hi! Thanks for your info! I’ve just added the !important suffix into the code, and it works now, please check again. One more problem. The content of content field in single header is not showing on mobile, but just the title and subtitle. Could you help with this please? 1. 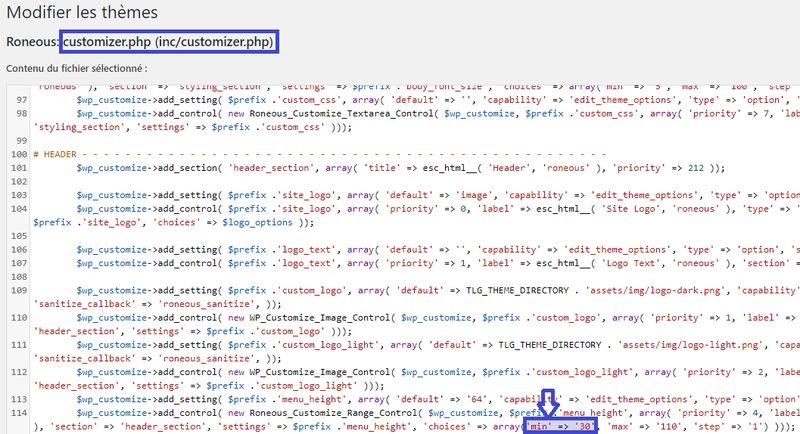 I’ve added some CSS code in Personnaliser > CSS additionnel, please check again the subtitle header in mobile. 2. 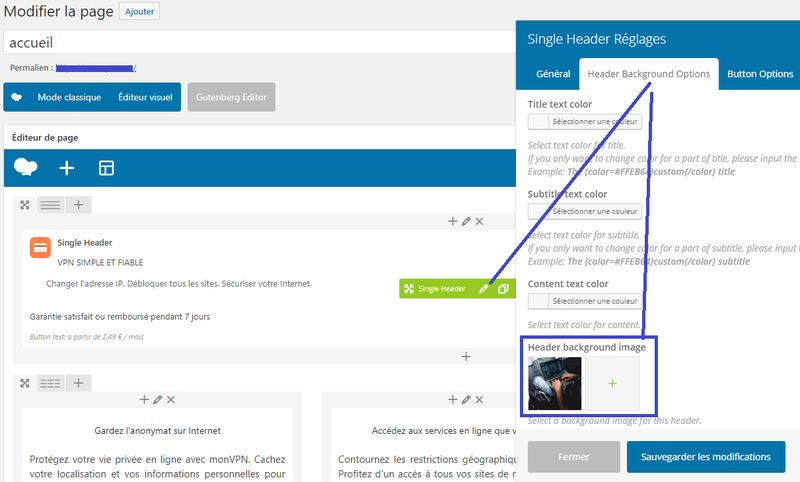 The problem was caused by you’ll need to add background image into Single Header element, but not background image in Row Settings as in the screenshot here. I’ve fixed it for you, please check again.